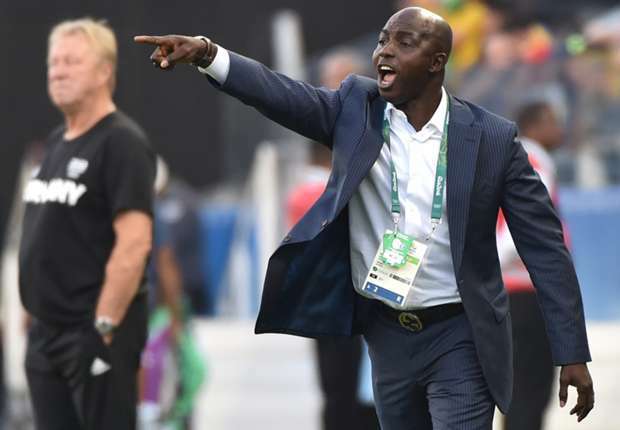 Former Nigeria coach Samson Siasia is now in oil-rich Qatar in connection with a lucrative top coaching job. “Siasia flew out to Qatar Friday (last week)afternoon. He is there to discuss a coaching post,” a top source informed. Over time, Siasia has been variously linked with overseas coaching posts. The former Super Eagles coach led Nigeria to win bronze at the Rio Olympics in August. His contract as Nigeria Olympic team coach ended with that tournament. It was further gathered that he has already made plans to take some members of his backroom staff from the Olympics should he finally secure the job. He was caretaker Eagles coach for an AFCON qualifier double header against Egypt in March. Besides also coaching theNigeria U20s, Siasia has also handled Heartland FC and now defunct JUTH FC of Jos.